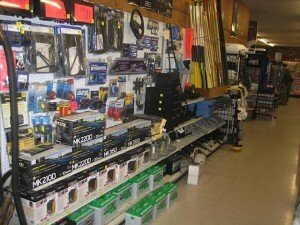 We stock a full line up of boating accessories and parts for all of your marine needs. 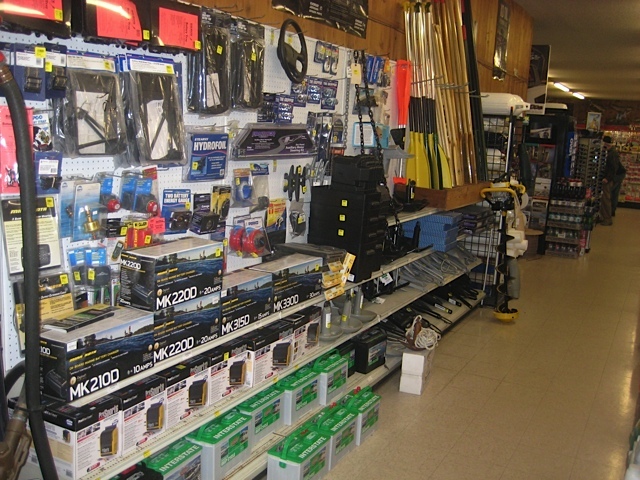 We inventory a wide range of outboard motor parts, boat cleaners, boat bumpers, marine seats, air ride seat replacements, marine batteries, on-board charging systems, cleats, paddles, anchors, anchor ropes, complete line up of marine performance products, marine gas cans, replacement lines, hoses, primer bulbs, plugs, nets, trailer parts, trailer bearings, spare tires, trailer couplers and many boat rigging supplies. 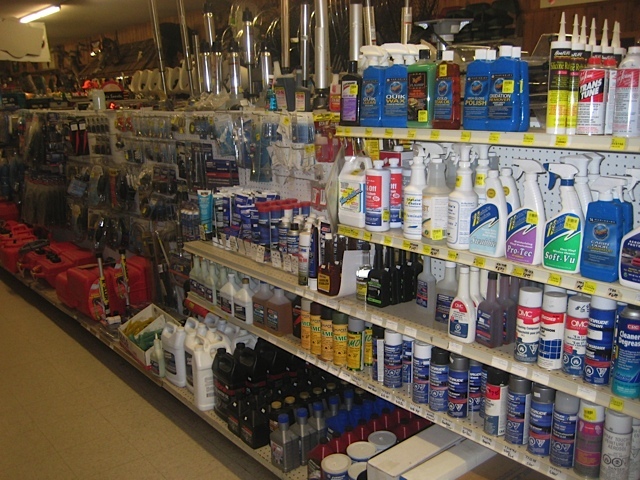 We carry a full line-up of outboard motor oil and also offer bulk refills for your Evinrude E-Tec motors. Bring in your empty jugs and we will fill them from our bulk tank and will save you money. 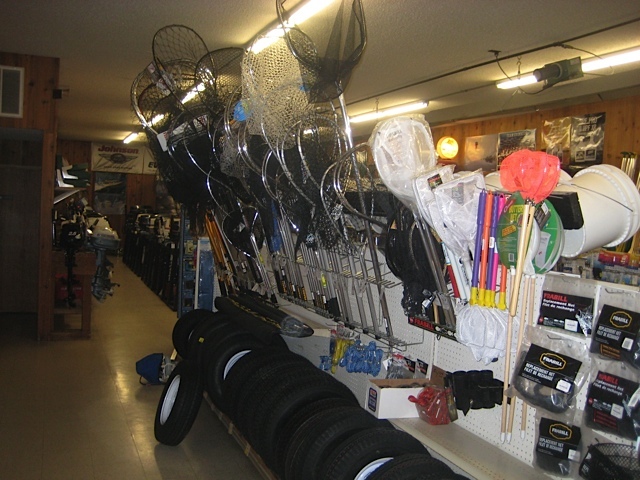 Call or stop in today and we’ll get you taken care of!